This time round I’m finding myself a little hesitant to pick a game of the year. 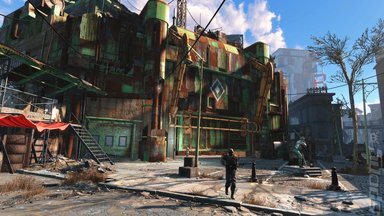 Having had a quick look back over my options and finding nothing that particularly jumps out at me my gut reaction is to go with Fallout 4. But then, my second gut reaction tells me that that might just be because Fallout 4 still has that new car smell and I shouldn’t trust that first gut reaction. Still, without any other competition in my mind I’m going to roll with it. I should probably stress that I am finding Fallout 4 to be a fantastic game and despite having spent more than a few solid days playing it non-stop since it came out I’ve still barely scratched the surface of how much it’s got to offer. 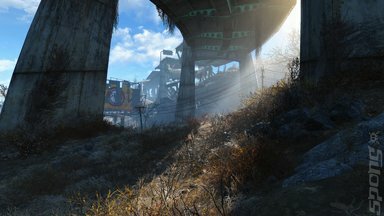 For the last few weeks Fallout 4 has dominated both my gaming time and, judging by the feed on my Xbox Friends list, many other people’s as well, like we’re all locked in some Fallout-addicted hive mind. It is a very good game. My apparently deeply-ingrained hipster-like tendencies just rail against me voting for something so contemporary and mainstream. I’m sure The Witcher 3 would have a good shot with me, but I haven’t tried it yet because I haven’t given up on the idea of completing the first two games one day. A considerably less mainstream option is the brilliant gothic Lovecraftian dungeon-crawler meets people management RPG Darkest Dungeon, which is definitely up there as one of my favourite games this year but which I’ve disqualified in my mind because it’s still in its Early Access stage and due a proper release early next year. So, barring any surprises I may have already decided on my game of the year for 2016. But for this year I am going to – only somewhat reluctantly – go with the incredibly safe choice of Fallout 4.